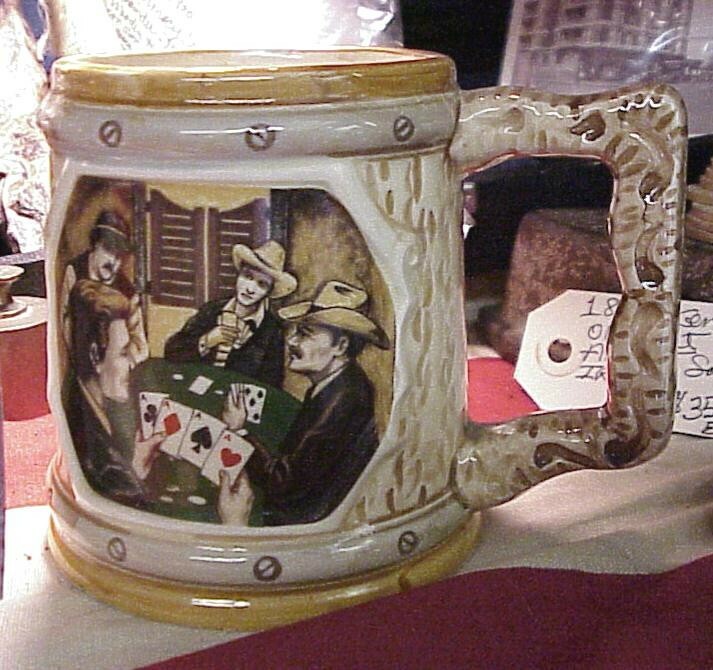 This is a great old mug with a great gambling motif showing Cowboys playing cards and showing Aces. Great gambling collectible. Great display. This is a great old mug with a great gambling motif showing Cowboys playing cards and showing Aces. Great gambling collectible. Great display. Please email cowboyron@cowboycabin.com with questions or call 406 270-2842.